In a ShopKeep vs. Square POS review, both clearly deliver essential retail point-of-sale functionality, including barcode checkout, iPad registers, and inventory, staff, and customer tracking, plus both offer a free version. ShopKeep offers impressive inventory tools and supports various payment providers while Square’s all-in-one product delivers convenient built-in payment processing, ecommerce, payroll, and marketing features. Store owners who want to use their own credit card merchant account processor should use ShopKeep. This is the standout difference between ShopKeep versus Square. With Square POS, you must use Square’s built-in payment processing service to accept credit cards. ShopKeep lets you connect your own payment service, so you can shop for the lowest fees. Startups and small retailers looking for an economical POS that delivers all-in-one convenience and growth potential should use Square. It’s ideal for any bootstrap startup and easily expands to support million-dollar, multi-location businesses. The caveat is you can only use Square as your payment processor to enjoy its many built-in POS, payroll, ecommerce, and marketing features. Store owners comparing ShopKeep versus Square are generally interested in finding the right POS system to help streamline sales, checkout, inventory tracking, and overall store management. Most users are budget-minded, yet are looking for a system they won’t outgrow. Advanced inventory tools, employee management, and ecommerce and accounting integrations are also important factors. Pricing – Both Square and ShopKeep offer free and paid versions of their POS software, and we compared the available features in the free versus paid plans. Ease of Use – Both Square and ShopKeep are simple to set up and operate, but we also explored which POS delivers the most seamless solution. Credit Card Processing – We looked at how credit card processing options and fees differ between Square and ShopKeep. Register Hardware – We explored the in-store and mobile register options, plus web-based access to back-end management dashboards. Sales & Inventory Management – We compared key POS functionality, including register options, checkout processes, and inventory, customer, and employee management features. Marketing & Loyalty Programs – We examined how Square and ShopKeep help you actively market your business to new and existing customers. Employee Management – We compared the employee time tracking, login, and permissions functions, and how each helps you streamline payroll. Ecommerce & Accounting Integrations – We looked at connectivity options between each POS system and various online sales platforms and accounting solutions. Reporting and Analytics – We examined the sales, inventory, and business reports that each POS provides in free and paid plans. Customer Service – We compared the customer support and online knowledge base options for each POS. User Reviews – We searched for reviews and comments from actual Square and ShopKeep users. After an exhaustive review, we find that Square’s economical, yet highly expandable POS system delivers a better overall value than ShopKeep. Square offers a greater set of business management features than ShopKeep for free. Plus, in most cases, its features, registers, and locations can be expanded at a lower cost compared to paid ShopKeep plans. However, unlike ShopKeep, Square locks you into its own credit card payment service. ShopKeep lets you shop various merchant services providers to find the lowest rates. If you’d rather have control over your credit card processing destiny, then ShopKeep is the better option. ShopKeep versus Square POS reviews show that each delivers a POS software, plus extended features for monthly fees. Square’s expandability is module-based, so you can add the specific features you need when you need them. ShopKeep’s extended features are unlocked by upgrading to its monthly plan, with fees based on the number of registers you operate. If you use Square POS, you must use its built-in payment processing service to accept credit cards—you don’t have a choice like you do with ShopKeep. But the only cost of using Square’s free POS package is the credit card processing fee that Square charges when you accept a credit card payment. We cover these processing fees below. In terms of basic POS sales, inventory, and staff management features, the Square versus ShopKeep matchup is quite close. The differences really arise when comparing what’s available in free versus paid options and, of course, how credit card processing is handled. ShopKeep offers a free single-user, single-outlet version of its POS system, plus a paid plan that supports unlimited users and unlocks advanced reporting features. ShopKeep does not publish any pricing online—its POS fees are all quote-based. However, we found that most small businesses are looking at about $69 per register per month to use the full version of ShopKeep. To get an accurate idea of what it will cost you, contact ShopKeep for a quote. ShopKeep is an iPad-based POS system, so you can’t download the POS software to various Apple and Android phones and tablets like you can with Square. You need an iPad running iOS 9.3 or above to operate a ShopKeep checkout. Like Square, you can build a ShopKeep iPad checkout using various stands and card readers, but these all tend to be more costly than Square’s budget-friendly register options. 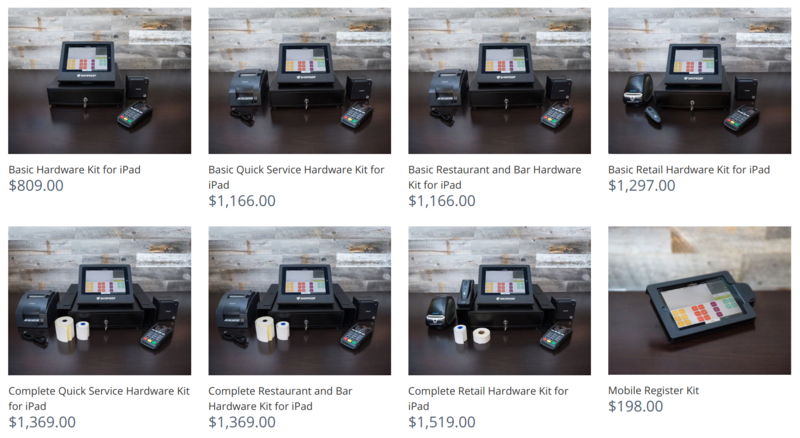 ShopKeep has a number of register hardware kits, stands, and card readers to choose from. Unlike Square, ShopKeep doesn’t lock you into one credit card processing service. You can connect your own merchant services account to ShopKeep, or use one of its partner providers. You can also get a quote from ShopKeep’s processing service, ShopKeep Payments, which uses competitive interchange-plus pricing. ShopKeep’s merchant account integration feature is far more flexible than Square’s and enables you to shop around for the best rates, like interchange-plus. Depending on your business, these can be far lower than Square’s flat-rate processing fees. However, it does take you more time to shop for a merchant services solution, apply for an account, and connect it to ShopKeep. With Square’s built-in processing service, you can start accepting credit cards as soon as you set up your free Square account. 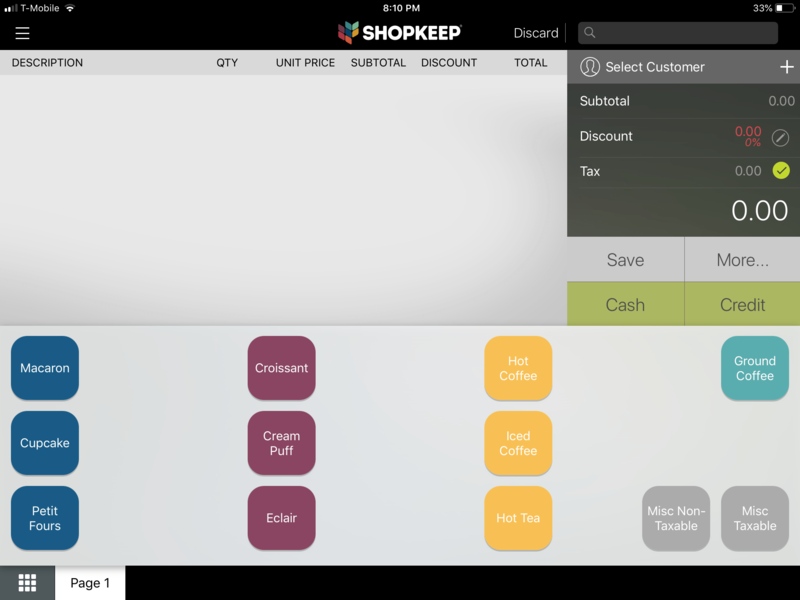 Since you get all of these features in ShopKeep’s free version, it beats Square in this matchup. To meet this inventory functionality, you’d need Square’s paid Retail or Restaurant module—though at $60 per month, they’re still less costly when compared to ShopKeep’s paid plan, which starts around $69 per month. It’s also important to note that ShopKeep’s free version is limited to sellers processing under $5,000 in monthly sales. If you outgrow that, you’ll need the paid plan to continue with ShopKeep—not so with Square. There is also one glaring drawback to ShopKeep—there is no Purchase Order function at all. ShopKeep supports reorder alerts and even suggested reorder quantities, but you have to create and manage your purchase orders outside of ShopKeep. 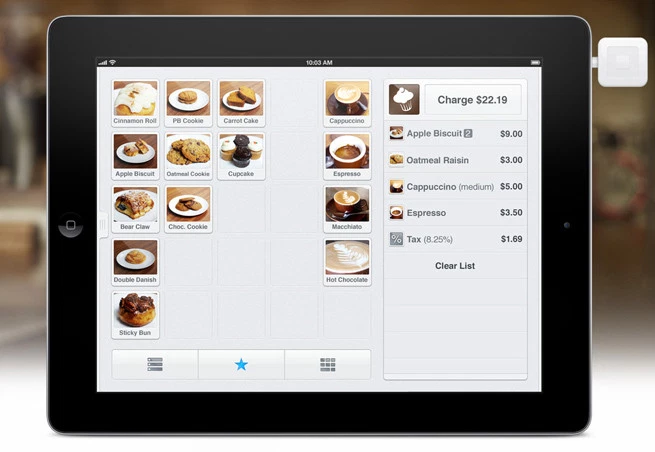 Square tops this with integrated Purchase Order features in its paid Retail and Restaurant modules. This is something to consider when comparing Square versus ShopKeep—if you need streamlined built-in purchasing, only Square delivers. Checkout is another area where ShopKeep shines, with a POS checkout screen that you can set up and modify to meet your needs. However, one major difference between Square and ShopKeep screens is the use of images. ShopKeep offers nice color-coded buttons for item selections, but Square lets you incorporate actual images into its modern interface. ShopKeep, left, uses color-coded item buttons while Square, right, incorporates images for easy item selection during checkout—or you can use color-coded buttons—it’s your choice with Square. This might matter to your operation and staff, so it’s something to consider when comparing ShopKeep versus Square. Other than that, ShopKeep offers a quick and easy checkout process for all types of operations. Unlike Square, ShopKeep’s offline mode does not support credit card processing. If you lose your internet connection, you can complete check and cash sales in ShopKeep, but you can’t run a credit card and get the approval later when the connection is re-established—like you can with Square. Like Square, ShopKeep tracks your customer contact information and purchasing history, so you can easily look up past purchases if needed for refunds or shopper queries. However, putting this data to work in email marketing and loyalty promotions isn’t as streamlined as it is with Square’s built-in marketing features. You need to connect your ShopKeep account to outside providers to add this functionality. AppCard is ShopKeep’s integrated loyalty program, which can be added to your paid ShopKeep plan for an added fee. You’ll need to contact ShopKeep for this pricing for your operation. For email marketing, you can connect ShopKeep to Mailchimp. Mailchimp has a free version, but if your email list exceeds 2,000 names, you might need to upgrade to a paid version to make the most of your email marketing in the long run. ShopKeep’s free version supports just one user, so staff tracking in the free version is nonexistent, unlike the multi-staff tracking features in Square’s free POS. ShopKeep’s $69 per month paid plan includes employee login, time tracking, and sales-per-employee features for unlimited employees. However, Square’s employee management add-on delivers similar staff tracking tools for $5 per employee per month. So, you’ll need to do the math to see which is the best value for your staff management needs. 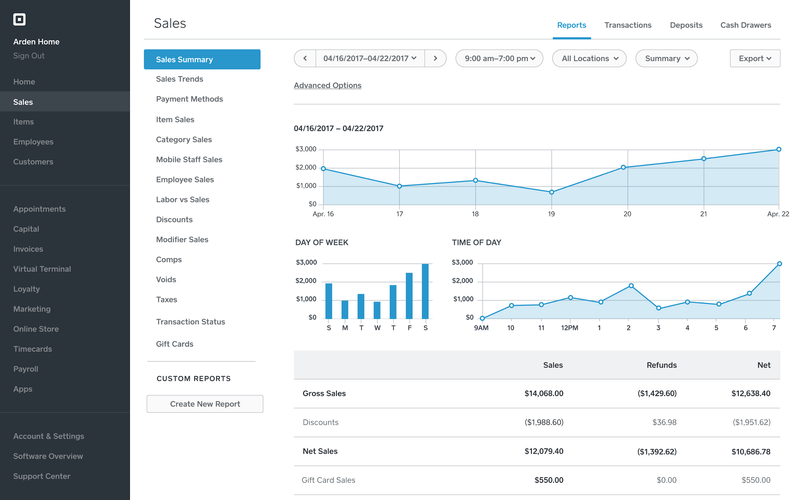 Unlike Square, ShopKeep does not offer a built-in payroll service. The most direct option is to use QuickBooks Online with Payroll and integrate that with ShopKeep. This works by connecting ShopKeep’s staff tracking data to QuickBooks Payroll, but it adds many fees. QuickBooks Online with Payroll starts at $59 per month, plus ShopKeep charges a monthly fee of around $29 to support the integration with QuickBooks—and the setup is quite a process. At $29 per month plus $5 per employee, Square’s built-in Square Payroll feature tops ShopKeep in simplicity and cost. However, if you’re already a QuickBooks user, then ShopKeep can be a good pairing. Speaking of pairings, ShopKeep supports very few integrations with ecommerce and accounting platforms—just two, in fact. As stated above, ShopKeep integrates with QuickBooks Online Simple Start, Essentials, and Plus versions, but not the lowest-cost Self-Employed version. Along with QuickBooks Online account monthly fees, ShopKeep charges an added monthly fee to support the integration. This fee is part of your account quote and tends to average about $29 per month in our research. Unlike Square, ShopKeep does not integrate with other accounting programs. For ecommerce, ShopKeep directly integrates with BigCommerce, which starts at $29 per month. This is a well-supported integration but, unlike Square, which works with a variety of ecommerce solutions, this is the only direct-connect choice you have with ShopKeep. So, while ShopKeep does integrate with top-rated accounting and ecommerce platforms, you have far fewer options—and added integration costs—compared to Square. ShopKeep offers better overall reporting and analytics than Square. In the free version, you get more inventory-related reports than Square delivers. However, as a single-user system, you can’t track sales by different staff logins, like you can in Square’s free POS. For staff-level tracking, you must be on a paid ShopKeep plan. Reporting really isn’t a deal-breaker between ShopKeep versus Square. Both offer a good set of reporting in both the free and paid plans, but ShopKeep’s free version inventory reporting is better, although staff tracking is non-existent. If you’re comparing the free versions of each POS, this is something to keep in mind. 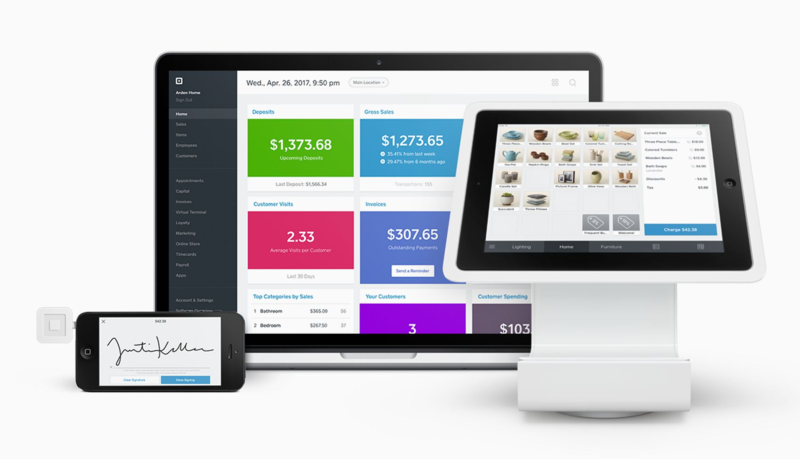 Square delivers an impressive set of POS sales and business management tools for free. Its free POS system supports basic inventory tracking, in-store, mobile, and online sales, customer management tools, and unlimited user access and locations. You can even manage invoices, recurring payments, and single-user appointments for free. If you need extended features, like email and loyalty marketing, vendor management, employee tracking or payroll, or detailed inventory tracking, you can add these for low monthly fees. 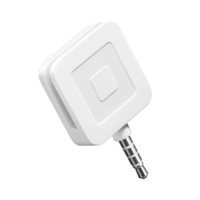 Since individual sellers and small businesses can run Square’s powerful free POS system on an iPhone, iPad or Android smartphone or tablet using just a card reader, Squares hardware costs can be as low as $0. Or, you can pair an iPad with the budget-friendly Square stand or opt for the sleek, all-in-one Square register. 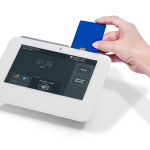 Includes Contactless Reader for chip & Stores wanting a low-cost countertop register, it can also connect to cash drawers and receipt printers. $999 or $49 per month for 24 months Stores wanting a sleek counter checkout that doesn’t run on an iPad. Can also connect to cash drawers and receipt printers. Seamless, built-in credit card processing is a notable feature of Square. From the moment you sign up for your free Square account, you can start accepting credit cards online and via keyed-in and virtual terminal payments. Square even sends you a free magstripe card reader that you can use on Apple and Android mobile devices for mobile, sales floor, and tableside sales. Plus, there are absolutely no monthly or cancellation fees with your Square account. Unlike ShopKeep, you can’t use your own credit card processor with Square POS or its many other business management services. 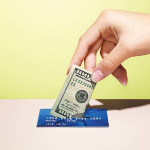 This means you can’t shop around for a lower rate from another merchant account provider. However, Square does offer custom pricing for sellers that process more than $250,000 in credit card sales per year. So, as you grow, you can get lower rates from Square and still enjoy its streamlined, all-in-one POS and payment system. ShopKeep’s free version delivers more inventory features than Square’s free offering—such as supplier, cost of goods, and ingredient features for free. However, there are other limitations to ShopKeep’s free plan—namely one user/one location and a $5,000 per month sales limit. If you exceed those limitations, you must move to the paid plan, starting at $69. This is something to consider when comparing Square versus ShopKeep for your needs. Checkout and sales tracking is another essential function of any POS system, and Square’s sell-anywhere POS app lets you turn any number of devices into a register—Apple and Android smartphones and tablets, computers can run virtual terminal payments, and iPads become registers with Square’s budget-friendly stands. Square’s POS app works on a variety of Apple and Android devices so you can use smartphones and tablets and low-cost checkout registers, plus access a virtual terminal on any internet-connected computer. Both Square and ShopKeep deliver the checkout functions that most sellers need. However, only Square lets you accept credit card payments without an internet connection and processes them when your connection is restored. ShopKeep lets you record cash and check sales without a connection, but you can’t process card payments. Square lets you record your customer contact information and tracks your customers’ purchase history. This is a great feature that helps you provide good customer service for returns or customer queries. It also helps you create targeted marketing campaigns using Square’s optional add-on email marketing and loyalty program features. Square email and loyalty program features are built into your Square POS software; you simply need to turn them on for monthly fees starting at $15 for email marketing and $25 for loyalty features. Once activated, these marketing modules connect to your customer data so you can easily target marketing efforts to specific customer groups based on their past purchases. ShopKeep integrates with outside services to enable marketing functionality, which comes with added fees and integrations. For this functionality, Square’s streamlined solution is much more user-friendly than ShopKeep. Square supports unlimited users in its free POS software, and you can somewhat limit what these users can do using Square’s Mobile Staff functionality. For example, you can let staff have unique email logins and limit whether they can accept certain payments, like offline payments, or process refunds. You can also track sales per staff login. However, for more control over staff logins into common registers, time tracking, and detailed system permissions and sales tracking, you need to add Square’s Employee Management add-on for $5 per month per employee. And to streamline your payroll tasks, Square Payroll connects to your Employee Management data and handles all of your payroll tasks for $29 per month and $5 per employee per month. ShopKeep’s free version allows only one user, so there’s no added staff tracking or functionality to compete with Square at that level. However, the paid ShopKeep plan does include staff logins, permissions, sales, and time tracking for no additional fees—but payroll, again, is only available via an outside service integration. It’s not as seamless and tidy as Square’s all-in-one solution. Square integrates with a number of top-rated ecommerce platforms for sellers who want to combine in-store and online sales into a streamlined, multichannel operation. Many ecommerce platforms—from Wix and Weebly to OpenCart and Miva, integrate with Square for payment processing, but others, including WooCommerce, BigCommerce, and Ecwid, integrate payments, products, sales, and inventory to Square POS for a true multichannel sales tool. Square even offers all account holders a fully-integrated free online store. If you want to dip your toe into ecommerce with little effort and no added costs, you can easily do that in just a few clicks using Square. For accounting, Square connects to QuickBooks Online and Xero with no integration costs, and many more—like Zoho, TaxJar, and Kashoo—via Square’s app marketplace. Square’s free POS reports are thorough and Square’s paid Retail and Restaurant modules add advanced industry-specific reports, too. ShopKeep delivers a very thorough set of advanced sales and inventory reporting tools in its paid plan. However, its free plan is very limited compared to the array of detailed reports that Square’s free POS provides. Comparing ShopKeep versus Square in terms of setup and ease of use, Square easily wins the setup side, and ongoing ease-of-use is essentially a tie. Both POS platforms have stellar reputations for being easy to use and having very intuitive screens and processes for quick staff training. ShopKeep’s user experience is very simple, contemporary and intuitive, but there is more initial setup compared to Square. For setup, you need to define how you want your screens—from register checkout, inventory lookup, and back-office analytics—to appear, and it is not auto-populated like it is in Square. However, this is nice, since you can create the screen setups that work for your operation. Once set up, ShopKeep’s color-coded categories make it easy to look up and add products to sales, and you can set up your back-end dashboard to deliver the numbers you want to see. ShopKeep’s drawback compared to Square is easy expandability. Integrations for ecommerce, accounting, and marketing are limited, and what is available requires setup and accounts with outside services. 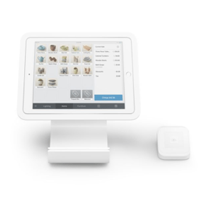 Square’s fully-integrated payments, POS system, and optional add-ons are simplicity itself. The touch-screen iPad register interface is intuitive and you and your employees should have no problems getting started. Adding products, tracking goods, completing sales with image-enabled touch screens, and running reports is as simple as it gets using intuitive iPad register and back-office computer interfaces. Plus, unlike ShopKeep, you can expand Square’s POS with the touch of a button. Loyalty, email marketing, payroll, and even a free online store can be launched with Square’s built-in features—no integration or external account set-up needed. If POS software is not working properly, you need to resolve this fast or business will grind to a halt. This is why customer service is very important. In comparing Square versus ShopKeep, both deliver excellent online support resources and phone support, though ShopKeep’s is 24/7, whereas Square is available via phone during set hours. ShopKeep has excellent customer service and you can reach them 24/7. We found the service reps to be friendly and they clearly know the system in-depth. 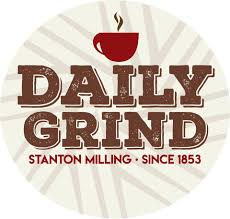 24/7 access is an especially great perk for businesses that operate outside of normal hours, like bars and restaurants. ShopKeep has won many customer service awards over the years and remains a top-rated iPad POS app on Apple’s App Store, even with increased app-based POS competition in recent years. Square’s phone service is code-based, so you need to have an account to access the code needed to get them on the phone. We have an account and used it to get the code via Square’s Contact Us page. Upon calling, we found that Square is fast to answer the phone and customer service reps take the time to understand your problem and provide a solution. Since credit card processing is directly tied to your Square account, any questions about the system or POS processing can all be answered by Square. Square is a much bigger company than ShopKeep. Unlike ShopKeep, which is primarily a POS service, Square is used by a wide variety of online, retail, and service-based businesses. So it follows that you can find more customer reviews—and complaints—for Square. However, when you dig into user reviews related to POS features, both deliver an overall positive performance. ShopKeep’s easy interface and excellent customer service keep users happy, as proven in many ShopKeep POS reviews. Where users show dissatisfaction is in its higher costs compared to a solution like Square, more setup and integration processes, and limited expandability options for ecommerce, accounting, and marketing services. However, its integrations are very reliable and if they suit your needs, then ShopKeep is a good pick. See what ShopKeep users have to say. Square POS reviews show that users appreciate its simple, budget-friendly system, ease of expansion, and many built-in features. In perusing Square POS reviews, a major source of user frustration centers on having to get an access code to call Square. However, the code is provided in your Square account dashboard and calls are answered quickly by knowledgeable service reps. Beyond that, withheld funds is the major source of negative Square POS reviews—mainly from users who experienced account suspension due to excessive returns or chargebacks. For sellers of high-risk or high-value goods, pairing ShopKeep with a traditional merchant services account designed for high-risk sales is a better option. However, for standard sales and payment processing needs, Square meets or exceeds user expectations. See what more users have to say in Square POS reviews. The Square versus ShopKeep matchup is pretty even in terms of features, benefits, and ease of use. Both have a few pros and cons, but each gets the job done in terms of in-store POS sales, inventory, staff, and sales tracking. Both also deliver a free basic POS system, offer expanded features for added costs, and deliver integrations for ecommerce and bookkeeping solutions. 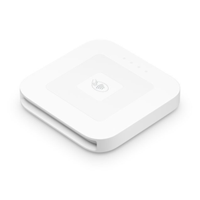 Square pulls ahead with its simple startup, sell-anywhere payment processing, and a wide variety of seamless add-on features and integrations. However, ShopKeep soundly beats Square in one important area for some sellers: choice of credit card processor. 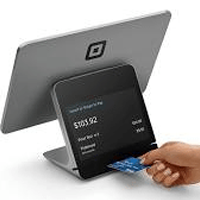 Overall, the most flexible and budget-friendly option for small businesses is Square POS. You get more features for free, like multiple staff access, a free online store, and the ability to run your entire business from an Apple or Android smartphone if you wish. Plus, you can start selling and processing credit cards the minute you sign up for your zero-cost, risk-free Square account. If you’re ready to start selling anywhere your business takes you, give Square a try for free. Do you use Square or ShopKeep, or another small business POS system? We’d love to hear what works for you in the comments below. Hello, wife and i own a convinience store and have about 2000 skus. Tested VendHQ, squareup, and Shopkeep. 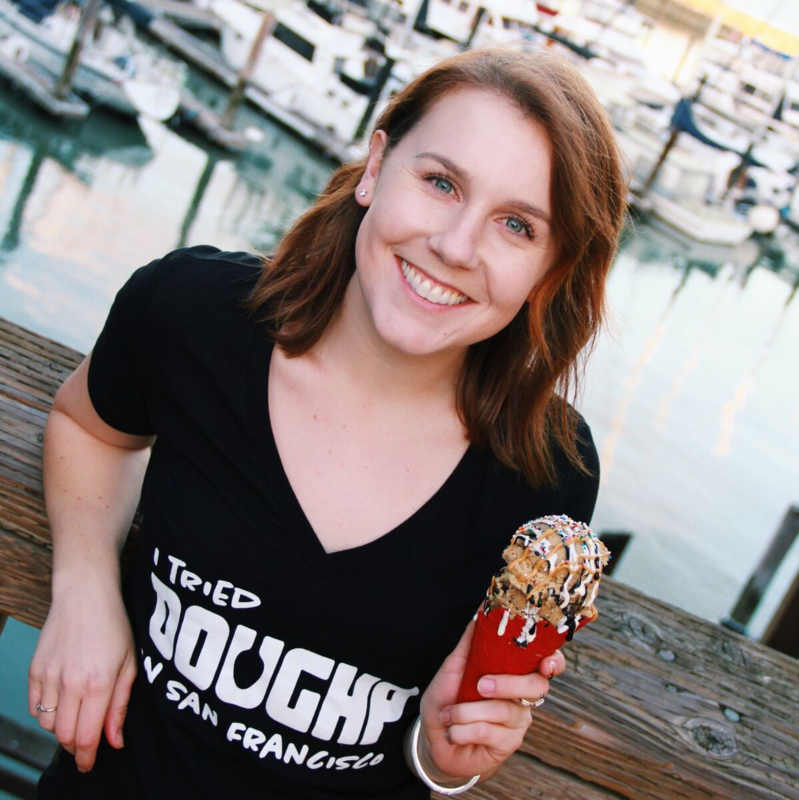 VendHQ was the best reports wise, although high monthly fee turned off off. Their cc company (Vantiv) quoted us Interchange + .07 swipe +.07% rate, no monthly fee servicing fee. However even with this low effective rate, considerably lower than squreup, but higher than shopkeep’s quote, we decided not to use vendhq because barcode scanners are not as streamlined and there is no tipping. Plus its $79 per a month if you pay yearly, $99 month to month. Squareup was great, and we decided to use the free version for our deli, only does about $3000 a month in cc. Which is great because at that amount the 2.75% flat rate is awesome. However neither the paid version nor the free version works well with barcode scanners (you have to approve each item you scan which is annoying when ringing up 30 items. So the free version is working great for our deli side of the store. For the convinience store we went with shopkeep. after reading some of the reviews here i hope i didnt make a mistake however the reporting is good and i can be logged into the dash board on my laptop and see real time reporting. Also barcode scanning is great, looking up items manually is best on squareup but i can scan 30 items in seconds on shopkeep which is what i wanted. Also, dont buy the recommended items they have with the exception of the printer, do buy a ethernet printer, star micronics or epson. For the cash drawers any will work as long as it has a rj12 port. Also, any bluetooth barcode scanner will work with squareup or shopkeep, no need to drop $200 on a socket mobile 7ci unless you really want one. I got mine for $69 and it works great. For cc peocessing, shop keep quoted us Interchange + .07 swipe fee and 0% rate. However there is a $9.95 monthly fee. If we do over $12,000 a month in cc sales this is lower than VendHQ and way lower than squareup. I have not used loyalty programs yet but I will post again in a month. We are still in testing phase. I fired Shopkeep a few months ago. Frankly, their customer support is bottom of the barrel. They are not working to improve their software or customer service. They are literally riding with the existing customer base. If you have many, many products in categories, the Square register is much easier to streamline into categories. Doing this in Shopkeep is clunky and unruly. In Canada, Shopkeep will not integrate their software with Quickbooks. Honestly, Shopkeep is absolutely NOT worthwhile. Square ALL the way!!! Many thanks for your feedback Eva, I’m sure that other readers will find this useful if they are trying to decide between Square vs. Shopkeep. Hello there.. many thanks for your feedback, it’s always good to know that the information and recommendations that we provide is valued by our readers. Bw Mark. This article is potentially misleading… There are many variables to consider when comparing a flat percentage rate like Square against an interchange plus pricing model for merchant services. Square does not charge a transaction fee, so merchants with a smaller average ticket (i.e coffee shops, smoothie bars, etc) may see a LOWER effective rate even with high total volume. What exactly do you mean by transaction fee? Are you talking about the extra fee merchant’s charge on top of interchange rates? If so, you are still almost always going to pay less per transaction using a merchant services account. The tricky part, is whether or not you do enough processing to offset the $15/month membership fee.